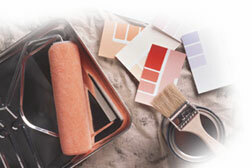 When you hire our company, you're hiring professional painting contractors. Our painters are fully trained in all aspects of painting and surface preparation. Our painters . . . These two painters were fabulous and so nice. They moved, covered, and taped everything before painting then put it all back and cleaned up! I was definitely impressed.